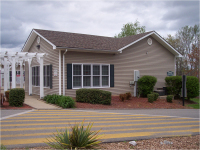 Our main office is located in the front of the mobile home park "Skyline Mobile Home Park", located in Bowling Green, Kentucky. 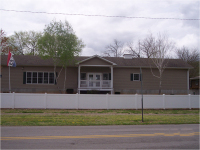 We offer homes for sale or rent. Friendly, beautiful and family environment. Call 270-842-8967 to make an appointment or fill out the form below and one of our managers will contact you. Skyline Village has one of the finest locations in Bowling Green and is centrally located on Loop Drive with easy access from Russellville Road and Morgantown Road. Warren Elementary, Warren Central High and Bowling Green Technical Schools are located 1 block from our community, with school bus pick up in the community for Moss Middle School. Several shopping areas located less than 2 miles from Skyline Village for your shopping convenience. There are 349 home sites with off street parking for 2 cars located on 52 rolling acres with mature shade trees and open areas. The streets are paved and patrolled by the City of Bowling Police Department. 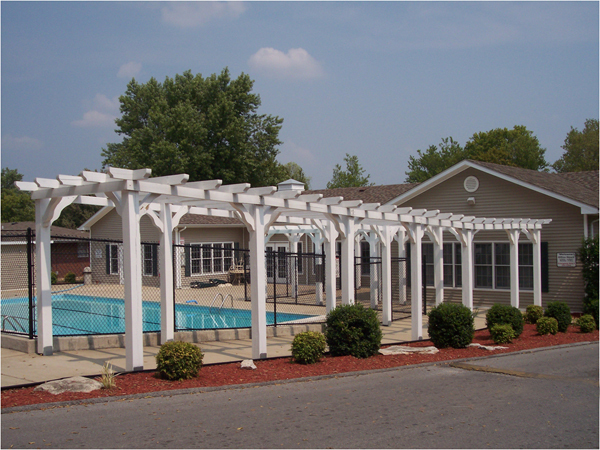 Skyline Village offers our residents a 2500 square foot clubhouse which includes a community center, fitness center, swimming pool, big screen TV and pool table for our resident’s enjoyment. Our beautifully landscaped 5 acre green belt offers a spacious picnic and barbeque area which provides a wonderful place for a game of basketball or a day enjoying the sunshine at the playground or a quiet evening stroll. Whether your looking to buy, rent or place your home in our community, we have professional management to help with all your needs. Start by contacting our managers on staff today. We have no home rentals available. Skyline Kentucky LLC does not offer financing. Any reference to financing refers to financing that may be available from third-party lenders subject to credit approval. Any financing terms are examples only. Actual terms may vary. Homes are sold by Capital Funding Corporation. All applicants must meet background and credit criteria at the time of purchase or rental of a home.